The selected navigation is now appear on status bar. It is most useful in the case that Navigation Panel is in auto-hide state to get a hint on what navigation the currently-listed tasks are. The selected navigation also now persistent. So, when the application close and later opened it will come back with the last selected navigation loaded. 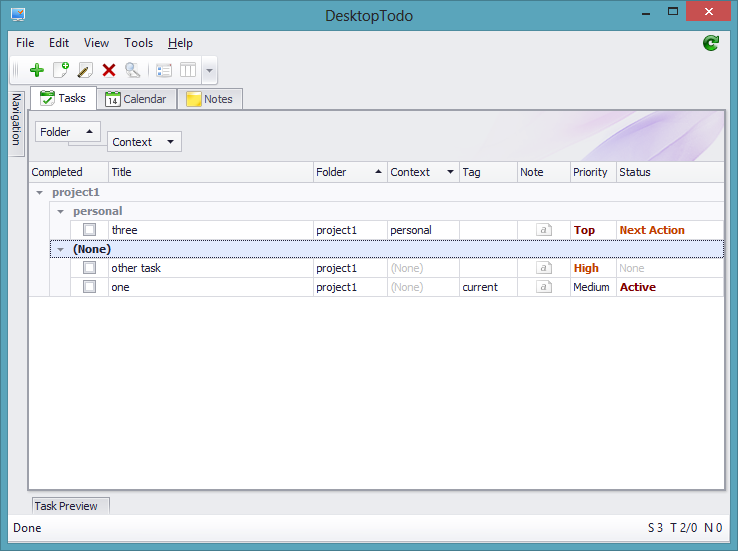 DesktopTodo has advanced field/column filtering capability. 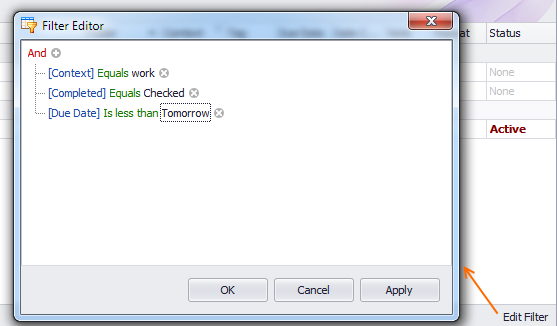 You can filter by predefined values or use advanced query dialog. Each filter changes will be stored on the history, which makes it easy for you to switch between filter set without having to specify them again. 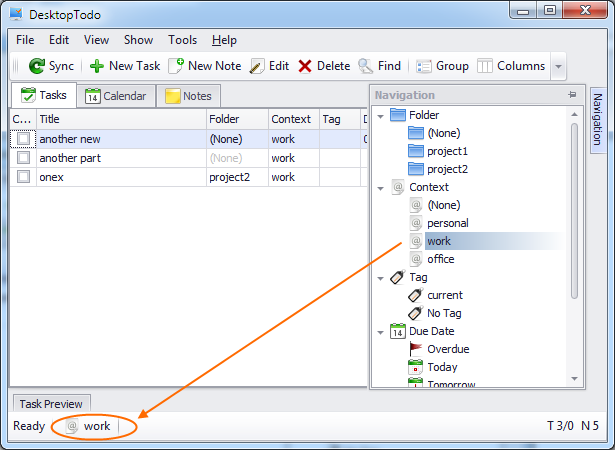 Combined with general task selection feature (show/hide completed, future task, negative priority and status), it provides the user with a powerful way to manage what appear on the task list. It will help to minimize clutter and distraction from what should be focused on at one moment. 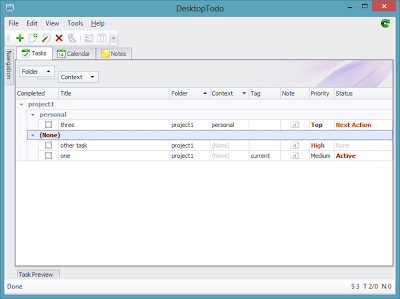 DesktopTodo 1.1 is released. You can download it here. I've just added highlight on Status and Priority display. The positive status and priority now has color and set to bold to make it more standout. The coloring follows toodledo web app convention (orange, maroon). As you can see on the screenshot above, the grouped field also still appear on the grid now, so it can still be edited inline. Those will be on the 1.1 version soon.